Having a grateful heart is a tool for your mind. Praise to God is our weapon against the enemy. v.15b "...the children cried in the temple, and saying, Hosanna to the son of David;..."
v.16 "Yea, have ye never read, Out of the mouth of babes and sucklings thou hast perfected praise?" In everything give thanks; for this is the will of God in Christ Jesus concerning you." Give thanks and praise no matter what. Praise drives out fear. It produces a grateful heart. Praise is built upon faith. and God honors faith. 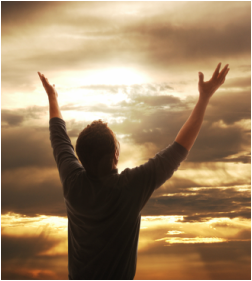 Praising God refreshes the spirit and soul. When we complain, we build on doubt and unbelieve. Doubt will hinder our praise but praise defeats unbelieve. So why are we encouraged to memorize bible verses? I will confess, I know many bible verses but have not had the fruit of the Spirit all the time. I may not be quite as good as to tell your where they are located in the bible but I do remember the words. But when I become empower by God with His Holy Spirit, I come to realize the advantage I have by the many bible verses I had memorized. It was easier for me to fight against the enemies temptations and lies. Judges 3:10 The Lord’s spirit empowered him and he led Israel. Judges 14:6 The Lord’s spirit empowered him and he tore the lion in two with his bare hands as easily as one would tear a young goat. Judges 14:19 The Lord’s spirit empowered him. He went down to Ashkelon and killed thirty men. I am sure Satan laughed when he seen me taking time to memorize bible verses; most likely thinking 'she doesn't have the knowledge of it's use and she is not a threat to me, In them she will think see has eternal life'. Now, I see God had giving me the opportunity to memorize verses or; as I call it, "Stock-pile Ammunition" for when Satan would became aware that I was a threat to him. Little did Satan know that through his own deception, God was working. Just as Satan deceived Judas, God was working. Why memorize Bible verses, because it will become your most powerful weapon of defense against the enemy. 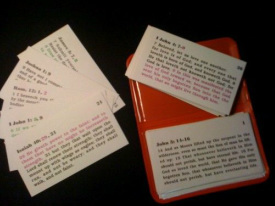 So I encourage you to take time to memorize, memorize, memorize those Bible verses. Christians and non-Christians alike usually can agree that Jesus is the best role model to have. From His faith, perseverance, generosity, and even His intelligence, people see the best qualities that mankind can possess. The Bible teaches everyone to become more like Jesus each and every day, so it’s helpful to learn about some of the character traits He had. The following is a list of 10 character traits of Jesus that everyone should emulate. 1) Compassionate Jesus never looked away from people; He always looked upon them and had compassion (Matthew 9:36). Whenever people were around him, Jesus understood what their real needs were and sought to address them. For some, physical healing was necessary, for others the root issue was spiritual. In all cases though, Jesus took the time to actually notice that people were hurting—and His compassion drove Him to help them. 2) Servant Without a doubt, Jesus was the ultimate servant. Although He was praised as a great teacher and even had a decent following, He made sure to teach them to be servants by actually doing it himself. In Mark 10:45, Jesus even tells everyone: “the Son of Man came not to be served but to serve” Despite having the authority to get anything He wanted, have people praise and pamper him, He did the exact opposite by lowering himself and serving others. 3) Loving Obviously, Jesus had a love for others. If He didn’t, He wouldn’t be compassionate nor a servant. Jesus claimed that there is no greater love than to die for one of your friends—and He did just that. 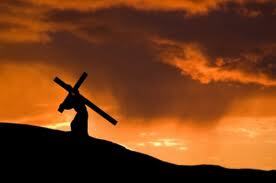 If anyone doubts His love, all they have to do is look upon the cross and see the agony that He bore for their sakes. He experienced that horrible death so that all can be saved. That, very clearly, is true love at its finest. 4) Forgiving One of the most startling things said in Scripture is found in Luke 23:34, when Jesus is on the cross and proclaims: “Father, forgive them, for they know not what they do.” Even while bleeding and experiencing pain, Jesus had His heart set on forgiveness—even forgiving those who put Him there in the first place! This is definitely contrary to the everyday mantra of looking out for number one and obtaining personal justice. Jesus was by no means concerned for His own life; all He wanted was to provide a way for forgiveness. Character trates of Jesus to emulate 5) Committed Jesus had no lack of commitment whatsoever. Wherever He was, or whoever He was with, He was fully in the moment and fully committed to His goals. Despite praying fervently in the garden of Gethsemane to avoid having to bear the cross and all that physical torture, He knew it was the only way to pay for everyone’s sins, so He stayed completely committed to His goal. There were certainly many obstacles during His ministry, but He stayed on track and finished strong. 6) Prayerful No matter how busy His ministry got, He found time to be alone and pray. Whether it is in the garden of Gethsemane, across a river, or on a mountaintop, Jesus disappeared for a while in order to pray to the Lord. People always tried to find Him, and He never turned them away, but He also made sure to make time spent with His heavenly Father a priority. 7) Gentleness There were certainly times where Jesus used stern words, but He knew when gentleness was appropriate. Children seemed to love coming to him, and He made sure the disciples knew not to hinder them when they did so. When speaking with His disciples, mother, or other ladies, He could be very kindhearted and gentle. But, when He was giving someone a rebuke or making a point in an argument, He knew when turning up the heat was necessary and only did so strategically. 8) Patience Throughout the gospels, Jesus clearly gets portrayed as a very patient man. After all, He was surrounded by disciples who constantly doubted him, Pharisees and Sadducees who continually attacked Him, and large crowds who wouldn’t leave Him alone. Despite all of that, He kept His composure and responded appropriately to every individual. 9) Self-Control Before His ministry was launched, Jesus spent time being tempted by the Devil in the wilderness. Although He was offered food, power, and many other things, Jesus controlled His desires and submitted them all to the will of the Father. Yes, He had desires for food and such, but He had a greater desire to obey the Lord and accomplish what He set out to do. 10) Humble Jesus had every opportunity and right to demand praise and accolades for His miracles and teachings, but He never did! Even when the crowds sought to make Him king, He rushed away from their grasp. He did not want to become a sideshow performance that people could enjoy. Rather, He wanted to seek and save the lost and offer forgiveness for sinful people. Yes, He could have traveled around in order to show off His powers in other towns, but He chose not to. Final Thoughts The world doesn’t need more role models, it needs more of Jesus—the ultimate role model. People will not find a better person to emulate positive character traits from than Jesus Christ himself. After a hard day of work and coming home to help my husband clean and set up the pool for our children, I was worn out. and with a headache I finally got the chance to take a shower. The hot water running down my body felt incredible. SO relaxing. All my pain, all my worries and stress begin to melt away and wash down the drain. I was completely relaxed. I started praying. And not asking for anything. But thanking God for everything. The hot water that came right out of my facet. For the door that was closed and locked. I thanked God for the break from my needy kids. For the oh, so needed , peace and quiet. That lead to thanking God for the sense of feeling. Then I started thinking, how God blessed us with 5 senses, that I think, we tend to take advantage of. This is the list I made in my head of the Simple Things to thank God for. The sense of taste. I thanked God for every single one of my taste buds. 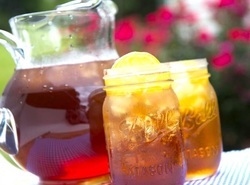 The taste of Sweet Ice Tea on a hot summer day. BBQ pulled pork. Oat meal cream pies. Butterfingers. God intended for us to enjoy food! And down here in the south, we REALLY know how to enjoy our food. Whats next? Oh yes, The sense of Sight: Eyes to enjoy the beautiful sun rises and sun sets God purposely paints every day. The formation of clouds. How each one is different and never the same. A sights of a flower. Being able to see the precious faces of my children.Nature in itself is a treat for the eyes. What about sound. I love listening to music. All kinds of it. Birds singing. 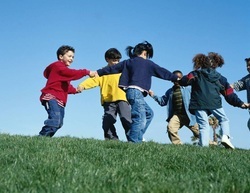 Children laughing. The sweet conversation with a love one. A cat purring. Touch: Grass between my toes. The touch of my husband. My little ones reaching out to grab my hand. Soft hair. A warm bed. Hot baths. A massage. Like I said , this was just a small list of The Simple Things I enjoy. What are some of the simple things that you enjoy in life? Maybe you can make a list of your own. I would love to hear the little things that your thankful for. While praying one day a woman asked "Who are you God?" He answered. " I am." "But who is , I am?" She asked. He replied , "I am Love. I am Peace. I am Grace. I am Joy. I am strength. I am safety. I am shelter. I am Power. I am the creator. I am the comforter. I am the Beginning and the End. I am the Way, the Truth , and the Life." With tears in her eyes , she looked up to heaven and said. "Now I understand, but who am I ?" God tenderly wiped the tears away from her eyes and whispered. " You are mine." This little sweet story was the perfect opening to the lesson I was teaching the 8 to 10 children me and my husband ministry to on Sunday nights at church. God had laid it on my heart for several weeks to do a message about "Who We Are In Christ. " There was about 20 identifications we are in Christ Jesus. Here are a few of them. I will list them in order, than we'll dig into one at a time. 1. I am created in Gods likeness: Genensis 1:26-27 " Then God said "Let us make man in our own likeness." He created them as male and female. ( Man out of dust of the earth, woman out of the rib of the man) We see that both man and woman are Gods special creation. We are created in Gods likeness. We can respond to a unique personal relationship with God that reflects Gods love and character. Unlike other living things God created. Like Animals , Plants , Trees. We humans possess a moral likeness to God. With wise minds and loving hearts and the desire to do right. Just like God , we have a spirit, mind, emotions , self awareness , and power of choice. 2. I have been chosen by God: John 15:16 " You did not choose me, instead I chose you. I appointed you to go and bear fruit. It is fruit that last. Then the Father will give you anything you ask for in my name." Jesus was saying this to His disciples. In Jesus' day disciples would choose who they wanted to follow ; a particular rabbi or teacher. But Jesus chose His inner core of disciples and for a purpose. To bear fruit. All of Christ followers have that purpose. This fruit bearing refers to working for the spiritural salvation of others who don't yet have a personal relationship with Christ. 1 Peter 2:9 "But chose you to be His people. You are holy priest . A holy nations." 3. I am more than a conqueror: Romans 8:37 " ..In all these things we are more than conquerers! Through Him who loves us. " This entire pharse is one word in Greek- Hupernikomen.. In this compound word; Huper means "Over , Above" and nikomen means "Victors, Conquerors" Paul is saying that rather being victims of this suffering world, Christians are Over and Above Victors or Super Victors. Rather than barely getting by in life's difficult circumstances. Christ followers are Overwhelming conquerors , because Jesus won the victory for us, through the cross. 4. I am gifted with spiritual gifts: 1 Cor. 12:8 " To some people the Spirit gives the message of wisdom. . To others the same Spirit gives the message of knowledge. To others the same Spirit gives faith. To others that one Spirit gives gifts of healing. To others He gives the power to do miracles. To others He gives the ability to prophesy. To others He gives the ability to tell the spirits apart. To others He gives the ability to speak in different kinds of languages they had not known before. And still to others He gives the ability to explain what was said in those languages. All of the gifts are given by one and the same Spirit. He gives them to each person, just as He decides." Everyone is given at least one of these gifts of the spirit. Each are different , and each are important in equal value. 5. I am adopted as Gods child: Romans 8:15 " You didn't receive a spirit that makes you a slave to fear once again. Instead you received the Holy Spirit, who makes you Gods child. By the Spirits power we call God "Abba" " Abba means father. The term Abba is Aramaic. It's the word Jesus used when referring to His heavenly Father. (Pater) expresses the depth of intimacy , warmth and confidence by which the Holy Spirit helps us relate to and cry out to God. Romans 8:17: Now if we are children, then we are heirs- heirs of God and co-heirs with Christ , if indeed we share in his sufferings in order that we may also share in His glory. Happy Easter everyone! The day when people all over the world get with their families to die eggs, bbq , have the all- time favorite tradition of the " Easter egg hunt" . But lets think back, about 2014 years ago. To the very first Easter Sunday. Everyone (whether they believe it or not) has heard the story of Jesus. Son of Joesph the carpenter , said He was the son of God, and was crucified on a cross, and 3 days later came back to life. Let me make one thing clear, I BELIEVE THE STORY. The greatest story ever told..I put together some facts about Jesus' death, that I found interesting and could be used for our very own Apologetics There is a lot of debating of the story. Lets start with a time frame of everything. 9am: was about the time He was on the cross. 3pm: Jesus cries out " My God, why have you forsaken me. It is finished. Into your hands I commit thee. Matthew 28:6 He is not here, He has risen. Just like He said. There are many "gods" out there people follow. Like Budda and Mahabbten. they both died and their tombs and remains are visited every year. Jesus Christ died, but He came back! and his tomb remains empty till this day. All other "gods" died. Dust came in and dust came out. John 2:18 " Then the Jews asked Him, "What miraculous sign can you show us? Can you prove your authority to do all of this?" 19 Jesus answered them "Destroy this temple. I will raise it up again in three days." Matthew 12:39 He (Jesus) answered, " Evil and unfaithful people ask for a miraculous sign! But none will be given except the sign of the prophet Jonah. Jonah was in a stomach of a huge fish for three days and three nights. Something like that will happen to the Son of Man. He will spend three days and three nights in the grave. Matthew 20:19 They they will turn Him over to people who are not Jews. The people will nail Him to a cross. On the third day, He will rise from the dead! Jesus didn't really die, He just passed out and woke up in the middle of the night. Romans were so mean. So prepared to torture. They knew what they were doing. The Romans gave Jesus 39 wipes. 40 would of killed Him. Then He had to carry His cross up the hill. Six hours on the cross. They stuck a spear in His side. Water an blood came out of Jesus' side. The Romans knew what they were doing. They were there to kill Him. If someone was to come and steal Jesus' body , they would of had to over throw the Roman guards. The guards knew that they were in charge of watching over the body. They knew if something was to happen to the body; they would have been killed. Matthew 27:64 : So give the order to make the tomb secure until the third day. If you don't , His disciples might come and steal the body. The Romans were very much aware of the claim that Jesus made. They wanted to make sure that no one could fake the resurrection of Jesus. There was over 500 eye witnesses of Jesus being alive after He was clearly dead on the cross. Historians like Tacitus and Josephus wrote about a man named Jesus from Nazareth. History reports that there was in fact a man named Jesus. That was from Nazarth. Who was put to death by Pontius Pilate. That's fact. I believe Jesus was exactly who He said He was. If one thing from the Bible is true, Then everything else HAS TO BE TRUE!!! Click on the links to read more about the two historians I've mentioned above.. The other day I was driving on my way home with my little girl in the back seat. We sat quietly while listening to the radio. My thoughts were running with what we were going to eat for dinner and remembering that I forgot to drop the ester eggs off at church , that were supposed to be dropped off a week ago. And my little girls mind was noticing the simple things we pass along the road and don't pay too much mind to. " What's those black strings for? " My 4 year old daughter asked. "What strings?" I asked , looking around to see what she could possibly be talking about. "Those" she says, pointing to the power lines that were running along side the road. I begun to explain what power lines were the best way I could. "They are like really long extension cords." I continue to try to explain where they come from and how they hook up to peoples houses. She didn't say anything, not one word. So after a few moments I ask her if she understands. "Yes" She replies. Few more seconds go by and she ask "Wait, understand what? " I couldn't help but laugh at her little curious but yet so innocent mind. I'd much rather see the world through the eyes of a child. They have an innocence about them that is genuine and very real. Every child is a wonderful gift of God. The Word of God contains so many great Bible verses about children. Anyone raising children knows how difficult things can get but also what a wonderful blessing the children are. I am honored to say that I have the privledge to work with children ages 6-12 on Sunday nights at my church. I really enjoy preparing a message for them and also learning myself as I do my research. I feel very passionate about teaching the young the Word of God. These children are going to grow up one day and be the ones running this world ; that they will leave to our grand children , great grand children and so on and so on. In Judges, the story of Gideon. Israels brutal 400 years of slavery in Egypt is far in the past, as are the years of wondering in the wilderness. Joshua's military conquests from a previous century have nestled them deep in the heart of Canaan, a land "flowing with milk an honey" ( a symbolic phase depicting God's continuous provision and favor) But in Judges 21:25 it says, Israel started doing what was right in their own eyes, again." This generation did not see all the miracles God done, splitting the red sea, manna falling from Heaven. The list can go on. And one thing went wrong. How did they go to a generation who is conquering battles by just walking around the city wall of Jericho an faith, of course. To " a nation that was doing right in their own eyes" What went wrong? It could be either one of two things. Or even both; The parents didn't teach their children about God's law and all the miracles of God. And / or The children did not heave to their parents teachings. It is so very important to teach the children that God places in our paths about the Word of God, the promises and Love He has for us. And to teach them HOW to have a real relationship with Jesus Christ, our Lord and Savior. ....It is easy to get discouraged when things are going bad. But we shouldn't lose heart. Because God is at work in our lives. Even in the midst of pain and suffering. A man was on a tuna fishing boat, when all of sudden a huge storm came up on them, the waves got so bad they flipped the boat over. The man washed up on a small, uninhabited island. He was the only survivor. He prayed feverishly for God to rescue him, everyday he scanned the horizon for help but none seemed forthcoming . Exhausted, he eventually managed to build himself a hut out of driftwood to protect himself from the element of the weather and store the few possessions he did have. Then one day , after scavenging for food, he looked up to see smoke rolling up into the sky. He ran back to his little hut to find it engulfed with flames. The smoke filling the sky, the worst had happened. He was stunned with grief and anger and shouted out, "God how could you do this to me? All my working buddies are dead from the boat wreck, I'm deserted on this island, and I'm probably going to die here. What did I do to deserve this?" However, he was awakened by the sound of a ship that was approaching the island. It had come to rescue him. Stunned and confused the man asked his rescuers "How did you even know I was here? The men replied , "We saw your smoke signal." A coast guard had seen the smoke in the sky from his hut burning the day before. . It is easy to get discouraged when things are going bad. But we shouldn't lose heart. Because God is at work in our lives even in the midst of pain and suffering. Remember, the next time your little hut is burning down to the ground. It just might be a smoke signal that summons the grace of God. When I heard this story, I thought, "Wow, isn't that just how God works?" He'll either arrange or allow something to happen to us that we think is the worst but it could be just the thing that saves us! Is there anything you're having a hard time with? Maybe it's at school with grades or teachers or maybe it's at home. Or maybe it's something worse, something deeper. 1 Peter 1:7 says, "Your troubles have come in order to prove that your faith is real. It is worth more than gold." Gold... everyone knows what gold is. Gold is a precious metal. Gold is beautiful. People all across the world risk their lives in gold mines to find some gold. Gold would make them rich. Sometimes gold has dirt hidden in it. And they'll take the gold and melt the gold and when the gold is melted, any dirt bubbles to the top. Then they remove the dirt. That makes the gold pure. The purer the gold is, the more it's worth. Going through fire makes gold better. Troubles in your life are like the fires that makes gold pure. When your going through "fire" in your life. The bad bubbles to the top, then God can get rid of them. Troubles makes your faith pure, and the purer your faith is, the more glory and praise God will get! When your going through the fire or your hut is burning down, do what Habakkuk says in Habakkuk 3:18. "But I will still be glad , because of what the Lord has done." You can smile through your tears. You can sing through your sorrows . You can float above your troubles. When the going gets tough, rejoice in the Lord. When you feel lonely or sad, rejoice in the Lord! When life looks grim, rejoice in the Lord! Why? Because God works most when your going through the fire. God gives you the strength to fight and push through and come out stronger on the other side. And when that happens; God gets the glory! Even when your situation looks hopeless, remember that our hope is in the Lord!